This page describes SQL Data Tables for Standard SQL Users. For SQL Administrators, please see SQL Data Tables (Administrators). 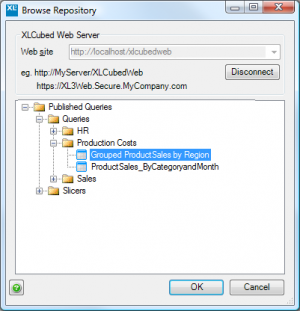 XLCubed can query your relational databases directly. 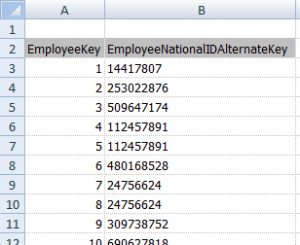 Similar to Grids, the relational query can be seamlessly built into an interactive report using SQL Slicers (Standard Users) and dynamic Excel ranges. Select the XLCubed > Insert Data Table > SQL... button from the XLCubed ribbon. If applicable, enter the parameters you wish to use. The SQL table will be inserted at the point you selected. 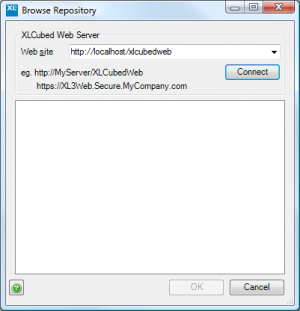 When inserting a query, parameters will be automatically discovered by XLCubed and made available for editing. The parameter values can be supplied as a static value, pulled in from an Excel range, or driven by a SQL Slicer. See Using SQL Parameters for more details. Query Tables for a similar feature in XLCubed 6.5 and previous versions. This page was last modified on 2 April 2014, at 16:15.